Greenwater Cabin Rentals Ltd. boasts 28 cabins (18 winterized) in a variety of styles from the non-modern cabins by the lake front, to the modern and standard cabins by the beach, and finally the cedar and log cabins with natural gas fireplaces on the hill across from the marina. All cabins are fully furnished with light housekeeping faculties. The cabins are supplied with bedding, towels, pots, pans, dishes, and small appliances such as toasters, coffee pots, etc. Towels are changed every second day. In addition to the beds, there is also a hide-a-bed/futon in the living room for use by children only. We supply satellite TV in the log and cedar log cabins. All cabins have hot and cold running water with the exception of the 6 non-moderns for those who prefer a more rustic experience. There is a building with hot and cold water with a shower and flush toilets behind the non modern cabins. Guests staying in them can also use one of the two shower buildings in the park campgrounds. Wood is supplied for the cabins and is located in a bin by the log and cedar log cabins, which are across from the marina. Of the 28 cabins, 18 are available for rent throughout the whole year. 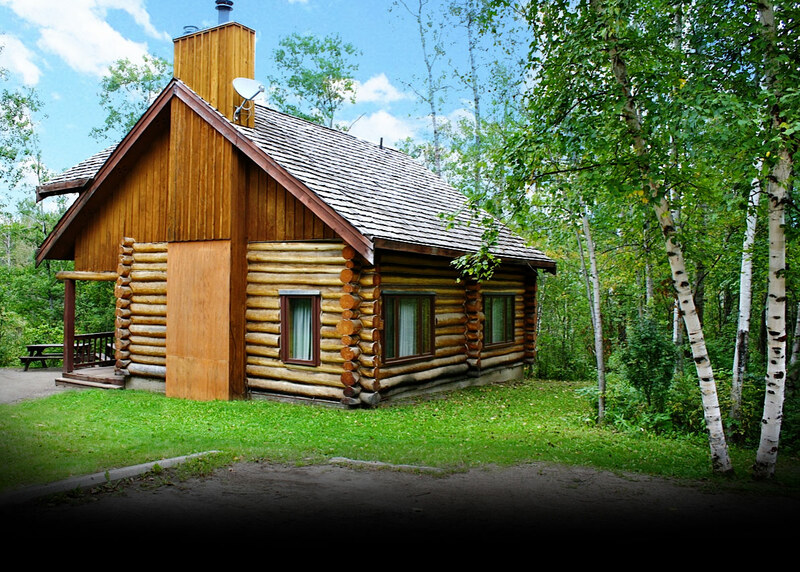 These cabins are popular with those people who enjoy snowmobiling; cross-country skiing or ice fishing. 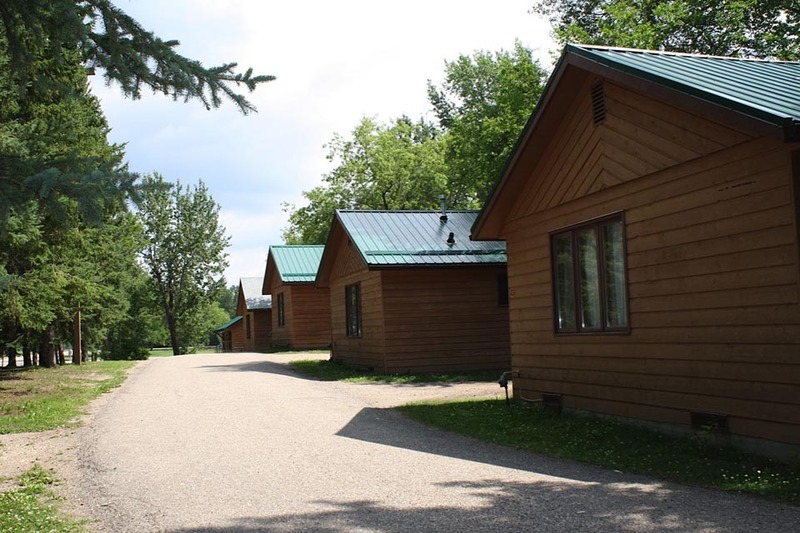 Check in time for the cabins is 4:00 p.m. and check-out is 11:00 a.m.
Pet owners, please note that all pets must be kenneled at all times inside all cabins and on a leash while they are outside. There is a fee of $20.00 for each pet per night.